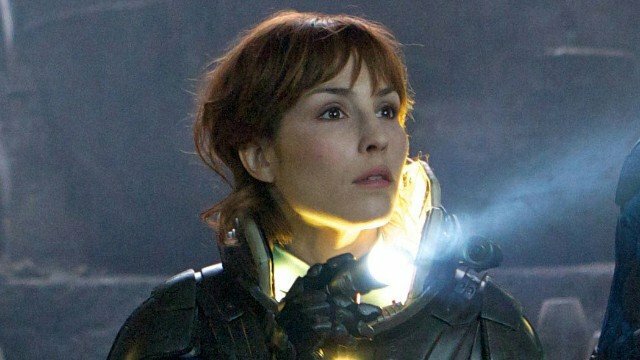 Despite reports to the contrary, it seems as if Noomi Rapace will be back to reprise her role as Elizabeth Shaw in Ridley Scott’s Alien: Covenant, the follow-up to the director’s very divisive Prometheus. According to Deadline, the actress is currently down in Australia and on set, shooting her scenes for the sequel. We don’t know how big of a role she’ll have or how exactly she’ll factor into things this time around, but you’ve got to believe that she’ll be pretty involved. After all, she was the main character in the first film. Rapace joins an already stellar cast, one that boasts the returning Michael Fassbender alongside newcomers like Katherine Waterson, Billy Crudup, Danny McBride and Demian Bichir. In terms of plot, we know very little about what Scott has up his sleeve here, but we’ve been told that he’ll be going for a “hard R-rating” and that the film will take place after the events of its predecessor. Aside from that though, we’ve been left in the dark – which is actually kind of alright with us. This is the type of movie that we’d rather not have spoiled too much. Anyways, after much back and forth, it seems that Alien: Covenant will now come complete with Noomi Rapace when it flies into theatres on August 4th, 2017.